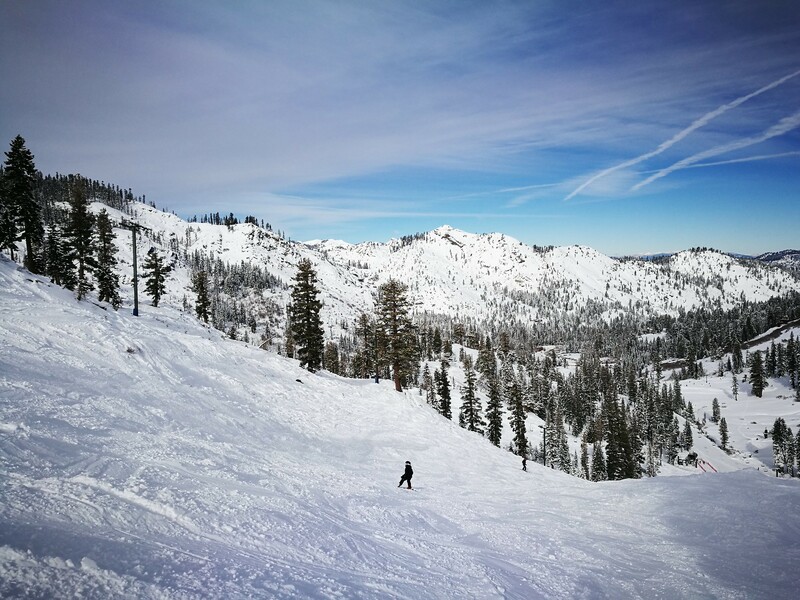 Back in 2011, Alpine Meadows was acquired by the larger Squaw Valley and with the ski pass package I purchased, I spent one full day skiing in the mountain. In general, the larger the ski resort, the better the chances of finding a segment that one would enjoy, though there are smaller resorts that excel in creating joyful mountain memories. Will Alpine Meadows be one of them? 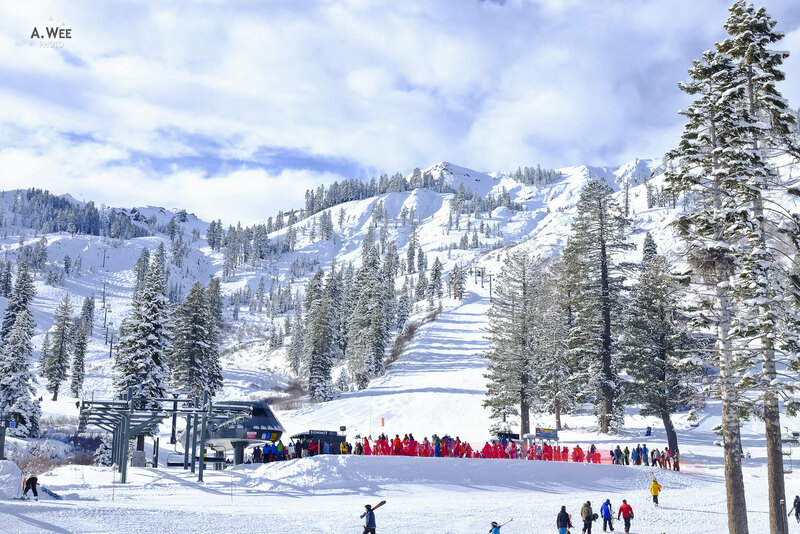 Located in the adjacent valley, it took about 15 minutes via the shuttle bus that departs from the Member’s Locker Area by the Funitel Plaza in Squaw Valley. Skiers should be prepared to wait up to 15 minutes for the shuttle though as it is not that frequent. Though the company that owns both ski resorts have plans to join the ski areas in the future which would make it easy for skiers to traverse the 2 ski areas. Being a smaller mountain, the resort sees less crowds and would be easier to get parking in the morning, especially on a powder day. 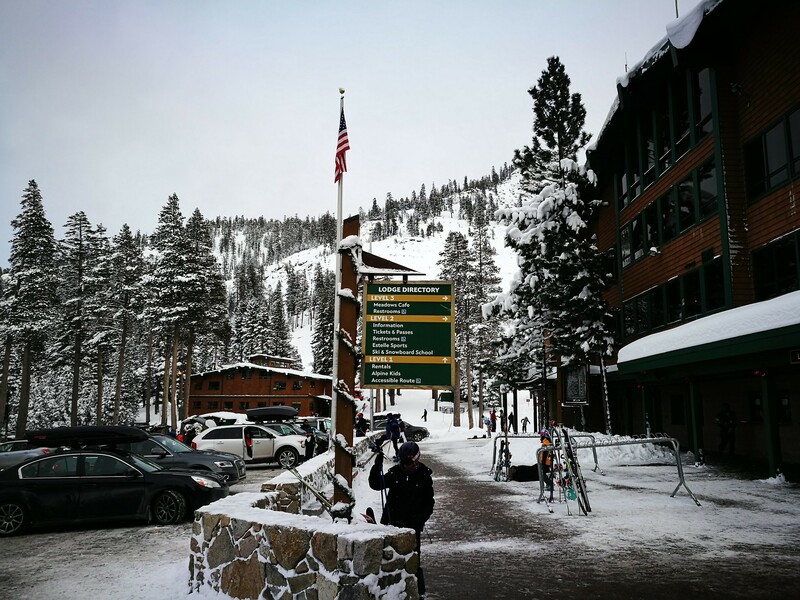 Alpine Meadows is closer to Tahoe City and would be somewhat easier for skiers staying in Tahoe City to access. There are no gondolas or aerial trams in Alpine Meadows allowing it to retain the feel of a small ski area catering to locals. 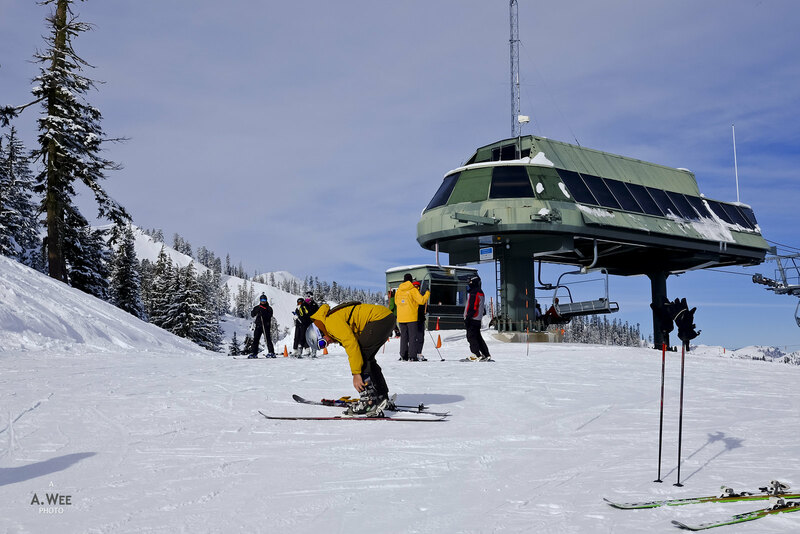 A six pack chairlift called Summit Express brings skiers from the base to the summit in one ride. It is located just beside another fast quad-chairlift called Roundhouse Express and skiers could take the double chair Alpine Bowl to reach the summit. The other quad-chairlift is Sherwood Express located at the back side of the mountain that opens up some backcountry terrains for skiers. Aside from that, the chairlifts infrastructure in this resort is somewhat lacking but I would say they are sufficiently adequate since I never had to wait a long time even on a Christmas weekend. Other means for skiers to ascend the ski trails are through several double and triple chairlifts with the Hot Wheels and Scott chair being 2 other great options to access intermediate and advanced terrain. 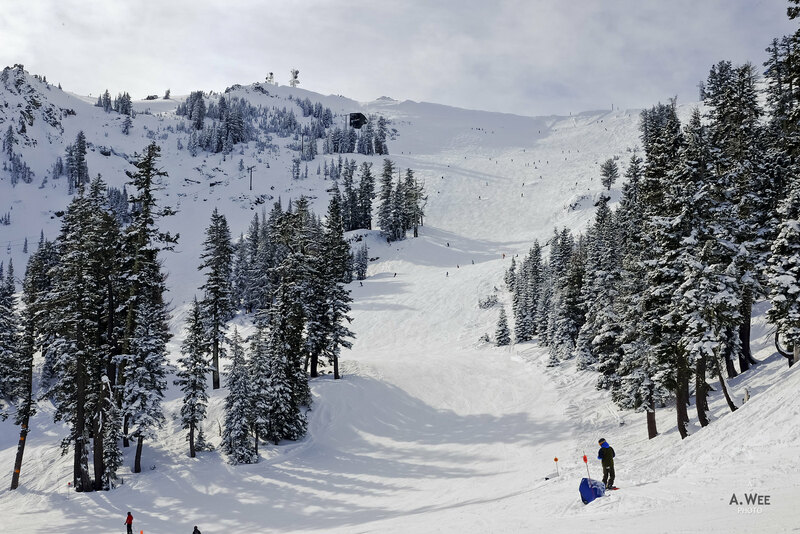 The cost for a day at Alpine Meadows is the same as Squaw Valley, and just based on the statistics alone, it does not make much value considering how small Alpine Meadows is. With no gondolas and limited ascend options, this can be considered one expensive ski experience. 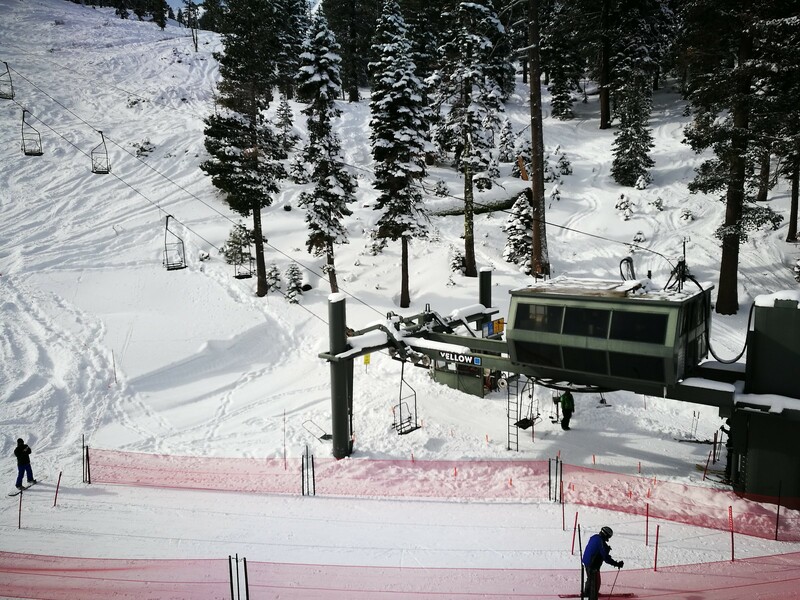 Alpine Meadows has 2 chairlifts dedicated for learners and this is a small area to ski. However it is sheltered away from the main crowds and provides a more conducive environment for beginners that is trying to hone their skills. I would venture to say though that Squaw Valley is perhaps better for beginners trying to improve due to the presence of green runs up on the mountains. Learning in Alpine Meadows does not give the whole mountain experience. 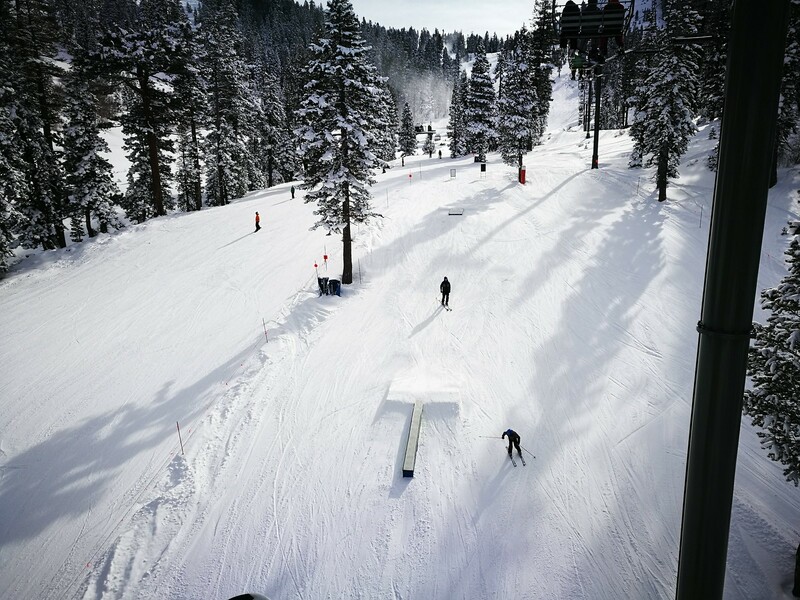 The blue runs for intermediate skiers are centred underneath the chairlifts and the area under the Yellow and Hot Wheels chairlift are suitable for cruising and skiers or riders learning to carve. With plenty of trees, there are even opportunities to have some fun in between runs in this area. More intermediate level ski trails can be found on the backside with blue runs coming down from the Lakeview chairlift and Sherwood Express. While these 2 areas were closed due to my visit earlier in the season, they should offer great vistas of Lake Tahoe. From the summit of the mountain at Alpine Bowl chair and Summit Express, skiers could go down the vast Alpine Bowl. This feature does elevate the whole mountain from just being another ski resort. While slightly steep, open bowls are perfect for intermediates looking to progress to being an advanced skier or rider. Not to mention, being able to ski from the peak to base is always a great way to spend the day skiing in a mountain. And last but not least, advanced and expert skiers have plenty of terrain here from cliffs to tree runs to vast open bowls on both the front side and back side of the mountain. Wolverine Bowl on the right side of the Summit Express offers plenty of fresh snow for those daring enough, and there are plenty of off-piste terrain to discover that would lead back to the top of Kangaroo chair. 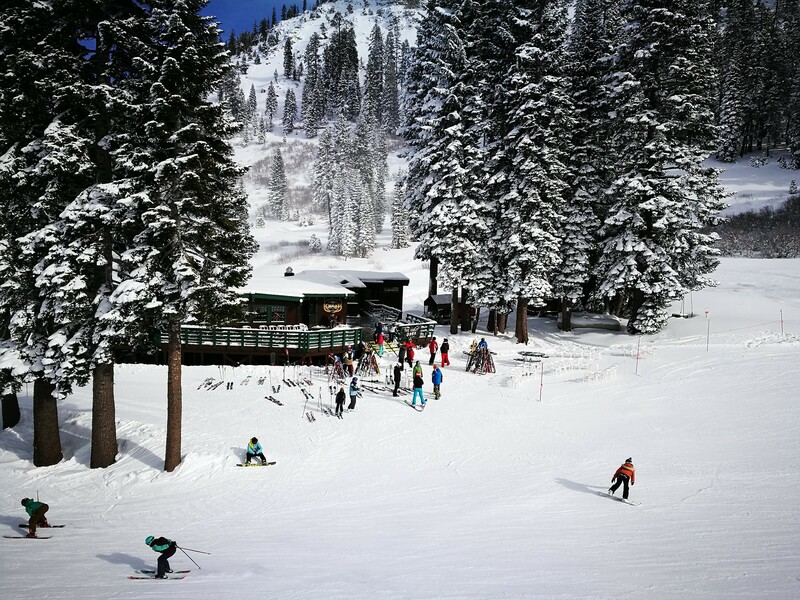 Sherwood Express provides a means for experts to ski the whole back side of Alpine Meadows while Scott chair opens up the cliffs and chutes that is visible from the top of Alpine Bowl. Park riders would be pleased to know that there is a terrain park near the base of Yellow chair stretching to the base of Hot Wheels chair. The location of the terrain park near the trees does give it a unique feel and makes it enjoyable even if it somewhat small, reflecting the overall theme of the resort. Being a mid-range mountain resort, there was no lodge on the summit thus skiers would have to pack their own sandwiches to have the lunch with a view from the top. The lack of lodges at the summit would probably make it less appealing to families but I did manage to find a charming lodge by the Yellow Chair along the way to the base of the Hot Wheels chairlift. The Chalet is a small lodge that have seating for no more than 30-40 people inside though it has a patio when the weather is warmer and an express order counter outside. This lodge has been constructed to reflect the style of European ski lodges with a menu reflecting a European cafe. There was limited food options though and skiers looking to have lunch would be better off heading to the Main Lodge in the entrance of the ski resort. On the back side of the mountain, there is also an Ice Bar which opens when the Sherwood Express is operating. For this particular visit, I had no such luck of visiting it. 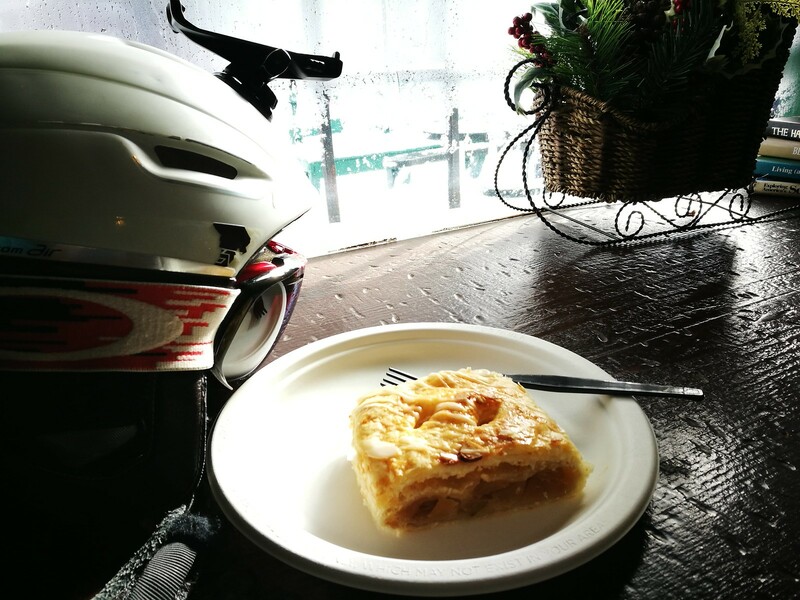 The food found in Alpine Meadows are more or less similar to those in Squaw Valley though The Chalet offers some European cuisine like bratwurst, beef stew, soups and desserts like apple strudel. This adds to the charm of skiing in Alpine Meadows, I guess. 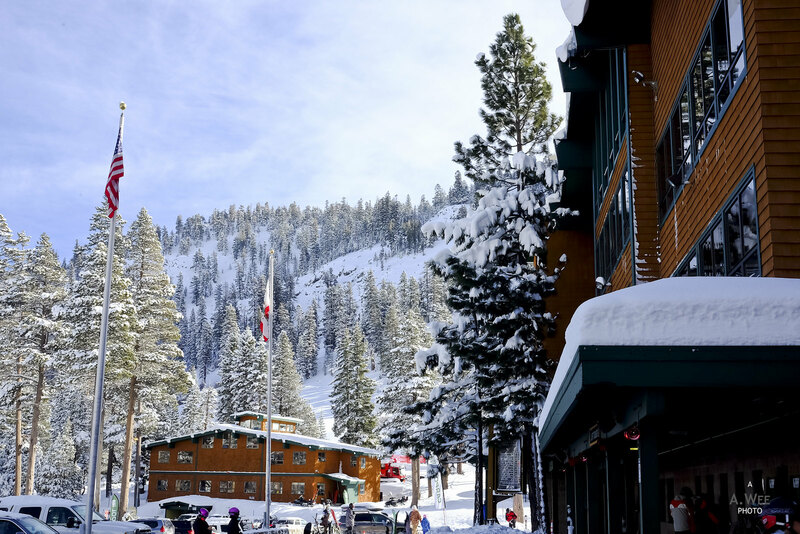 Since there was not much food & beverage outlets either, skiers should not expect to enjoy gourmet style food while taking a break for lunch unless they are willing to drive out or take the shuttle back to Squaw Valley. This is probably the biggest drawback of skiing here compared to Squaw Valley. 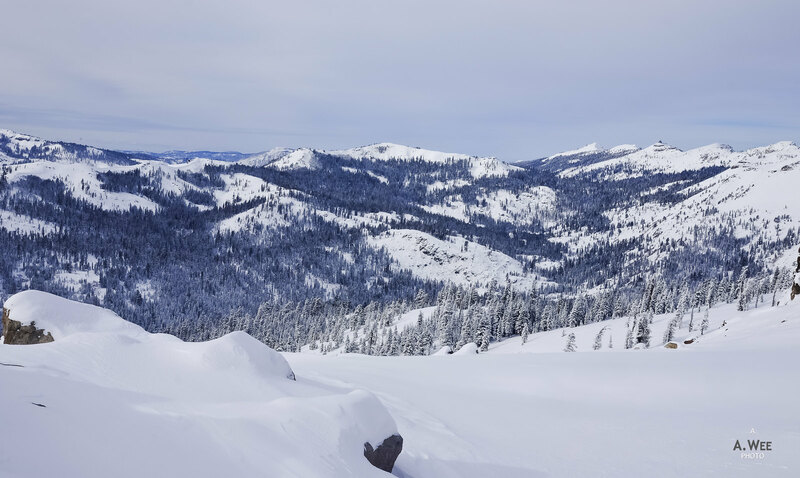 With no ski-in/ski-out accommodations, skiers who really plan to stay close to Alpine Meadows would do well to book the few lodges and chalets around the mountains. There are a couple of those including Stanford Alpine Chalet, while the River Ranch Lodge is located at the entrance of the valley which is about 5 minutes away by car. Staying at River Ranch means being able to enjoy the fantastic restaurant and bar there too! There is an Alpine Bar in the Main Lodge building which houses nearly everything in the resort and that functions as more or less as the only aprés venue. 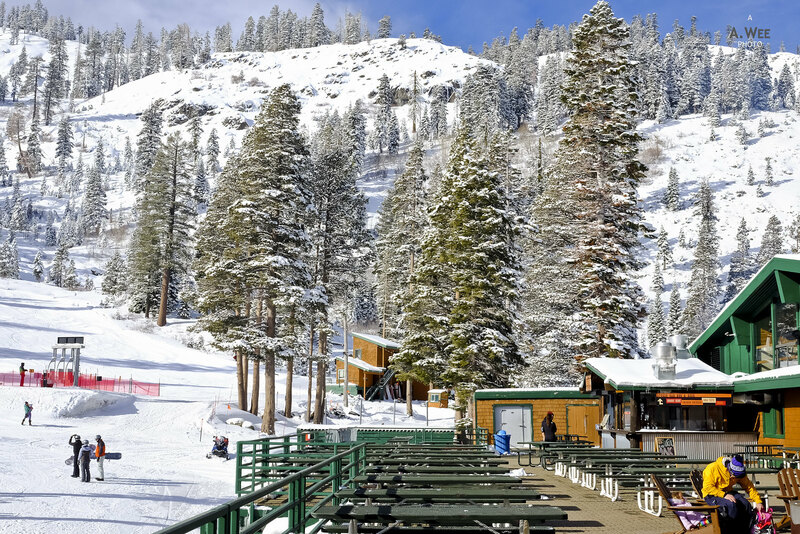 Alternatively, those seeking more variety could head to River Ranch Lodge right by the driveway to the valley and the main highway back to Squaw Valley or Tahoe City. 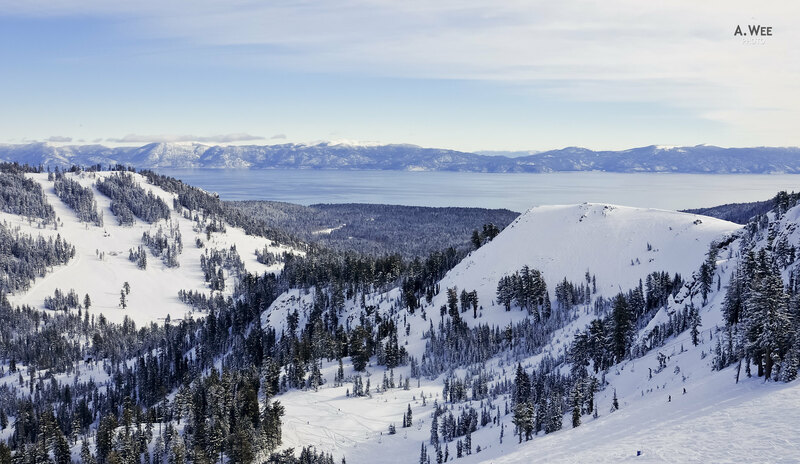 What it lacks in food variety and fun aprés venues, the resort makes up for better views of Lake Tahoe. 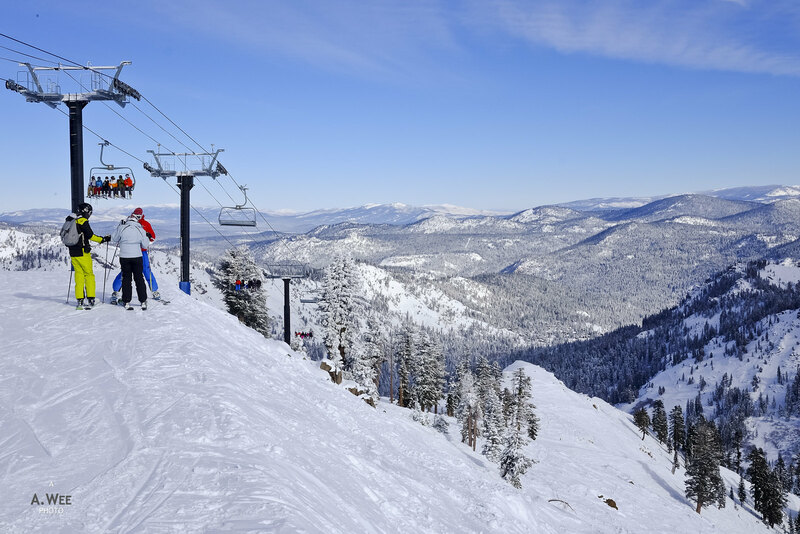 From the top of the Alpine Bowl, which is easily accessed from the Summit Express chairlift, skiers can enjoy panoramic views of Lake Tahoe and the ski areas served by the Lakeview and Scott chairlifts. Its proximity to the lakeshore means water views are more magnificent and that alone makes it worth the while to come down here. 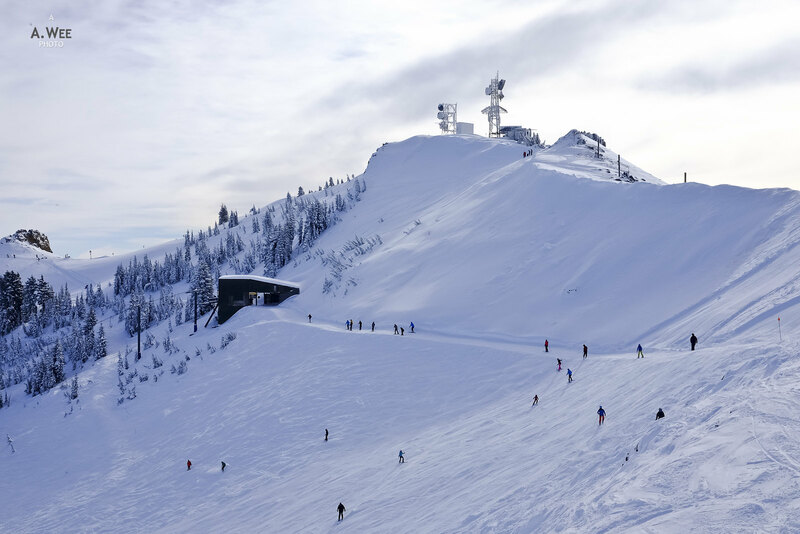 Closing off my review of this ski resort, I found myself contemplating whether bigger ski resorts are always better since Whistler always prides on being the largest skiable resort in North America. 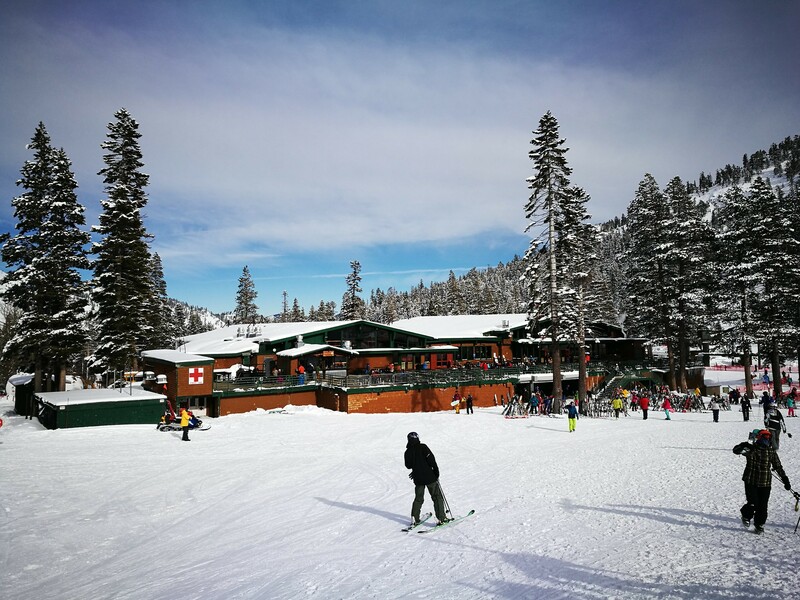 With this visit, I decide to add in a ‘joy of skiing’ factor, and on this visit, I had a truly fun ski day even on this smaller resort. Even though the resort lacks many of the amenities that makes a ski resort friendlier, the marked pistes were just a joy to go downhill on. A bonus is the fact that less skiers come here and that means less wait for chairlifts on the way up. 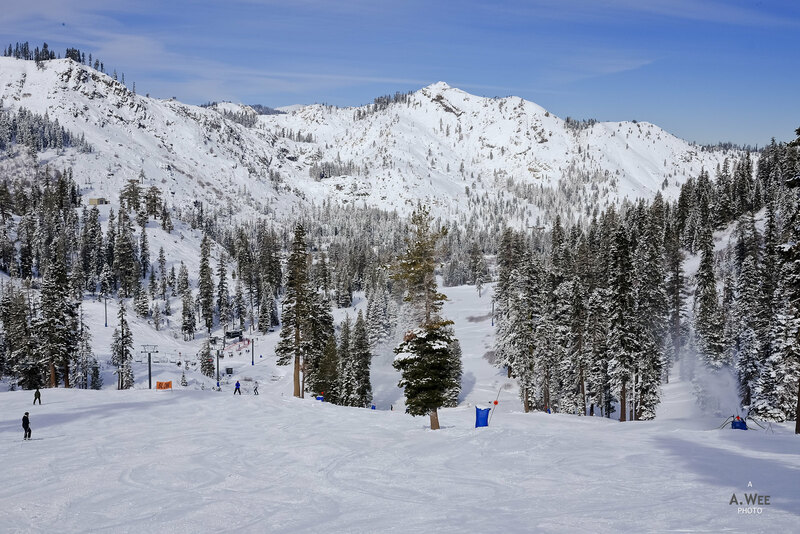 Maybe then it might not be so bad if there was no connection between Alpine Meadows and Squaw Valley after all, so as to retain the charm of this mid-size ski resort.